The Microsoft Pinpoint tool is helpful for customers who come to it with a specific set of requirements and a tight geographic focus. But for diplomatic and other reasons, Microsoft doesn't go around labeling its strongest partners. The company toyed with a good-better-best set of labels when designing the Microsoft Partner Network (MPN), but abandoned the concept before rolling out the MPN. Even designations like the Microsoft National Solution Provider (NSP) list are kept fairly close to the vest. 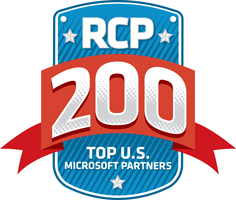 Enter the RCP 200 list. We've scoured various sources for 200 of the strongest Microsoft solution providers in the United States. We looked at recent NSP designations, previous members of the now-defunct Microsoft National Systems Integrator program, Microsoft award winners at various levels and our own contact lists and archives for great companies we've covered over the last 11 years at RCP. This is a qualitative list, which is why it's organized alphabetically. Some of these partners produce massive revenues in Microsoft practices that reach across Microsoft's technology stack. Others are much smaller businesses with very deep technology expertise or with extremely strong access within Microsoft, giving them an outsized ability to provide powerful solutions for customers. A note on geography: We've categorized the companies as having a presence in the East, Central, West, National or International. That's based on office locations for those customers who still like to know they can get that face-to-face meeting on short notice. It must be said that with cloud solutions, many of these partners are running substantial national and even international businesses from as few as one physical location. All of the companies here have demonstrated a laser focus on Microsoft technology and a strong commitment to providing great value in the thoughtfully tailored solutions they build for their customers. 10th Magnitude Azure Central Chicago, Ill.
6th Street Consulting SharePoint, Cloud West Redondo Beach, Calif.
A.B. Computer Systems Inc. Dynamics East Melville, N.Y. Accent Computer Solutions Inc. Generalist West Rancho Cucamonga, Calif.
Advanced Network Solutions Generalist Central Nashville, Tenn.
Agile IT Inc. Generalist West San Diego, Calif.
Alexander Open Systems Generalist Central Overland Park, Kan.
Allied Technology Group LLC Generalist Central Little Rock, Ark. Apparatus (a Virtusa Company) Cloud Central Indianapolis, Ind. Applied Information Sciences Generalist East, Central Reston, Va.
AppRiver Cloud International Gulf Breeze, Fla.
Apptix Inc. Cloud International Herndon, Va.
Arbela Technologies Corp. Dynamics International Irvine, Calif.
ArcherPoint LLC Dynamics International Lawrenceville, Ga.
Arterian (a subsidiary of Aldridge) Cloud West Seattle, Wash.
Ascentek Inc. Generalist East Pittsfield, Mass. Atrion Networking Corp. Generalist East Warwick, R.I.
Avanade Inc. Generalist International Seattle, Wash.
AxSource Corp. Dynamics International Alpharetta, Ga.
BA Insight SharePoint International Boston, Mass. Barry-Wehmiller International Dynamics International Atlanta, Ga.
BKD Technologies Dynamics National Springfield, Mo. Blackstone + Cullen Generalist East, West Alpharetta, Ga.
Blue Horseshoe Solutions Inc. Dynamics International Carmel, Ind. C/D/H Generalist Central Detroit, Mich.
Cal Net Technology Group Generalist West Chatsworth, Calif.
Capax Global LLC Generalist International Parsippany, N.J.
Capgemini Generalist International New York, N.Y.
CDW Corp. Generalist International Vernon Hills, Ill.
CEI (Computer Enterprises Inc.) Generalist East Pittsburgh, Pa.
Center for Computer Resources Generalist Central Sterling Heights, Mich.
Cetrom Information Technology Inc. Cloud East Vienna, Va.
CHIPS Technology Group Generalist East Syosset, N.Y.
Cireson System Center International San Diego, Calif.
CISS (Creative Ideas Simple Solutions) Generalist East Washington, D.C.
ClearPointe Generalist Central Little Rock, Ark. CleverSpeck LLC Cloud East Reston, Va.
CloudStrategies Inc. Cloud East Cedar Knolls, N.J.
Compudyne Inc. Generalist Central, Alaska Duluth, Minn.
Concurrency Inc. Generalist Central Brookfield, Wis.
ConQuest Technology Services Corp. Generalist East Coral Gables, Fla.
Convergence Networks Cloud West Portland, Ore.
Convergent Computing Generalist West Walnut Creek, Calif.
Corporate IT Solutions Generalist East Norwood, Mass. Corporate Technologies LLC Generalist National Fargo, N.D.
CWPS Inc. Generalist East Chantilly, Va.
Datapipe Inc. Cloud International Jersey City, N.J.
Dataprise Inc. Cloud East Rockville, Md. District Computers LLC Cloud East Silver Spring, Md. Diverse Technology Solutions Generalist East, Central Islip Terrace, N.Y.
DynTek Inc. Generalist National Newport Beach, Calif.
Eastbanc Technologies Generalist East Washington, D.C.
eMazzanti Technologies Generalist East Hoboken, N.J.
En Pointe Technologies (PCM) Generalist National Los Angeles, Calif.
Encore Technology Group LLC Generalist East Greenville, S.C.
Endsight Generalist West Berkeley, Calif.
ENS Group Generalist Central Fort Wayne, Ind. Enterprise Integration Cloud East Jacksonville, Fla.
ePlus Inc. Generalist International Herndon, Va.
Geocent LLC Generalist Central, East Metairie, La. Global Data Systems Cloud Central Lafayette, La. Hanu Software Solutions Inc. Azure East Princeton, N.J.
Homnick Systems Inc. Generalist East Boca Raton, Fla.
I.B.I.S. Inc. (owned by Sonata Software) Dynamics East Peachtree Corners, Ga.
INetU Inc. Cloud East Allentown, Pa.
Infusion Generalist International New York, N.Y. Insight Enterprises Inc. Generalist National Tempe, Ariz. Integrated Computer Systems Support Inc. Generalist West Redmond, Wash. Integrated IT Solutions Inc. Generalist East Waltham, Mass. Intelligent Waves LLC DoD, Intelligence East Reston, Va.
Intellinet Generalist East Atlanta, Ga.
Intellipoint Technologies Dynamics East Barboursville, W.Va.
InterDyn BMI Dynamics National St. Paul, Minn.
Internet & Telephone LLC Generalist East North Andover, Mass. Intucio (a Geocent company) Cloud Central, East Metairie, La. Inviso Corp. Business Intelligence West Bellevue, Wash.
IOTAP Generalist International Reston, Va.
ISC Cloud East Tallahassee, Fla.
Jelecos Generalist Central Omaha, Neb. Key Information Systems Inc. Generalist West Agoura Hills, Calif.
Kraft & Kennedy Inc. Generalist East, Central New York, N.Y.
Lighthouse Technology Partners Generalist East Greenwich, Conn.
Logicalis Generalist International New York, N.Y.
LPS Integration Inc. Generalist Central Nashville, Tenn.
Lumen21 Inc. Cloud Compliance West Orange, Calif.
Magenic Generalist National Minneapolis, Minn. Managed Solution Generalist West San Diego, Calif.
Marco Technologies LLC Cloud Central St. Cloud, Minn.
Matrixforce Generalist Central Tulsa, Okla.
MetaOption LLC Generalist East Jersey City, N.J. Miles Technologies Generalist East, Central Moorestown, N.J.
mindSHIFT Technologies Inc. Generalist East, Central Waltham, Mass. Mindtree Ltd. Generalist International Somerset, N.J.
NetGain Technologies Cloud Central Lexington, Ky.
Netrix LLC Generalist Central, West Bannockburn, Ill.
NetStandard Inc. Generalist Central Kansas City, Kan.
Netswitch Technology Management Security International San Francisco, Calif.
Network Outsource Inc. Cloud East New Hyde Park, N.Y.
Neudesic LLC Generalist National Irvine, Calif.
New Signature Generalist International Washington, D.C.
NexTek LLC Generalist Central Memphis, Tenn.
NexusTek Generalist West Centennial, Colo.
NWN Corp. Generalist National Waltham, Mass. Oakwood Systems Group Inc. Generalist Central St. Louis, Mo. OneNeck IT Solutions Dynamics, Generalist West, Central Scottsdale, Ariz.
OnePath Cloud East Marietta, Ga.
PEI (Performance Enhancements Inc.) Generalist West Boulder, Colo.
Perficient Inc. Generalist International St. Louis, Mo. Peters & Associates Generalist Central Oakbrook Terrace, Ill.
Phidiax LLC Azure, Generalist West Denver, Colo. Planet Technologies Inc. Generalist National Germantown, Md. Power Objects Dynamics CRM International Minneapolis, Minn.
Project Leadership Associates Generalist National Chicago, Ill.
Prosum Inc. Generalist West, Central El Segundo, Calif.
Proxios Cloud East Richmond, Va.
Queue Associates Inc. Dynamics International New York, N.Y.
RBA Consulting Generalist Central, West Wayzata, Minn.
RDA Corp. Generalist East Baltimore, Md. responsiveX Azure Central Chicago, Ill.
Rightpoint Generalist National Chicago, Ill.
Riverbed Technology Cloud International San Francisco, Calif.
SADA Systems Cloud West N. Hollywood, Calif.
Saviant Consulting Cloud, Azure National Portsmouth, R.I.
ScerIS Inc. Generalist East Sudbury, Mass. Seepath Solutions Cloud, Azure East Jersey City, N.J.
SHI International Corp. Licensing, Generalist International Somerset, N.J.
Slalom Consulting Generalist International Seattle, Wash.
SlingStoneIT Cloud West Irvine, Calif.
SNP Technologies Inc. Cloud, Azure East Hamden, Conn.
Softchoice Licensing, Generalist International Chicago, Ill.
Softech WorldWide LLC Azure East Sterling, Va.
Sonoma Partners Dynamics Central, West Chicago, Ill.
Springthrough Generalist Central Grand Rapids, Mich.
SPS (Strategic Products and Services) Unified Communications National Parsippany, N.J.
Statera Inc. Generalist International Englewood, Colo.
Stonebridge Generalist (Oil & Gas) Central Tulsa, Okla.
Superior Consulting Services (SCS) LLC Business Intelligence Central Burnsville, Minn.
Swan Island Networks Security Intelligence West Portland, Ore.
SWC Technology Partners Generalist Central Oak Brook, Ill.
SyCom Technologies Generalist East Richmond, Va.
SymQuest Group Inc. Cloud East South Burlington, Vt.
Synergy SharePoint, Generalist International Westport, Conn.
Tad Nelson Consulting Generalist National Morris, Ill.
Tallan Inc. Generalist National Rocky Hill, Conn.
TekLinks Cloud Central Birmingham, Ala. The Lloyd Group Generalist East New York, N.Y. The Network Support Company LLC Generalist East Danbury, Conn. The Occam Group Generalist Central Edina, Minn. The Walker Group Inc. Generalist East Farmington, Conn.
Tribridge Dynamics International Tampa, Fla.
Trivalent Group Inc. Generalist Central Grandville, Mich.
Uptime Legal Systems Cloud (Legal) Central Eden Prairie, Minn.
Valorem Consulting Generalist Central, West Kansas City, Mo. Velocity Network Inc. Generalist East Erie, Pa.
Virteva Generalist Central Minneapolis, Minn.
Vorsite Corp. Cloud West Seattle, Wash.
West Monroe Partners LLC Generalist National Chicago, Ill.
Wipfli LLP Generalist National Milwaukee, Wis.
WinWire Technologies Inc. Generalist National Santa Clara, Calif.
workMETHODS Solutions Inc. SharePoint, Dynamics East Reston, Va.
WorkSmart Generalist East Durham, N.C.
Worldwide Technology Inc. (WWT) Generalist International Maryland Heights, Mo. Xantrion Inc. Generalist West Oakland, Calif.
Xcentric Generalist (Accountants) East, West Alpharetta, Ga.
ZAG Technical Services Inc. Generalist West San Jose, Calif. Zones Inc. Generalist National Auburn, Wash.